Sorry for reviewing a product that was limited edition and is now sold out, but I’m sure this will pop up at Cosmetic Company Outlets at some point. I didn’t think I would be getting any of the lipsticks from the MAC x Nasty Gal collection but then one of my friends kindly gifted to me the color I was most interested in– Gunner. Formula-wise, I think this lipstick is great. It’s really pigmented, long-wearing, and creamy enough so that it doesn’t tug on the lips upon application (unlike MAC’s Smoked Purple, a somewhat similar color). Gunner feels like a satin or semi-matte so it doesn’t bleed or transfer everywhere. What I find very peculiar is that Gunner seems to look quite different on everyone. On pale skin tones, it looks like a very deep purple but on myself and my friend (who is darker than me, probably an NW40) it looks borderline black. 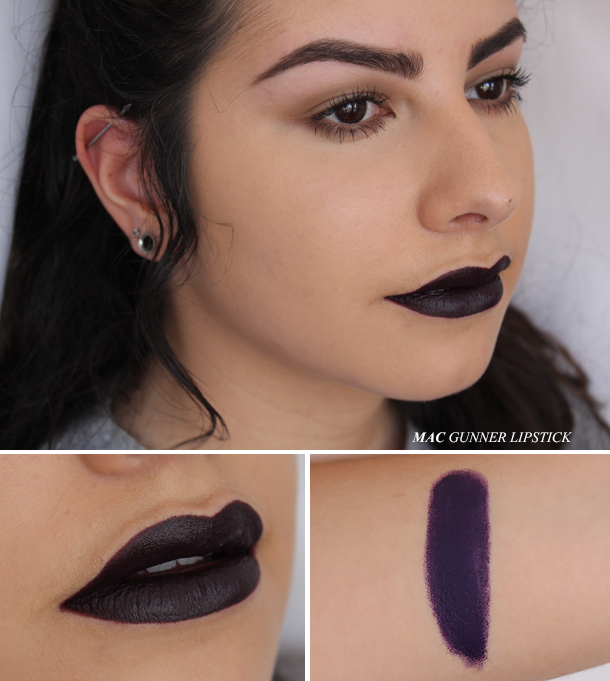 Gunner has definitely been one of the most unique purples MAC has released in a while. 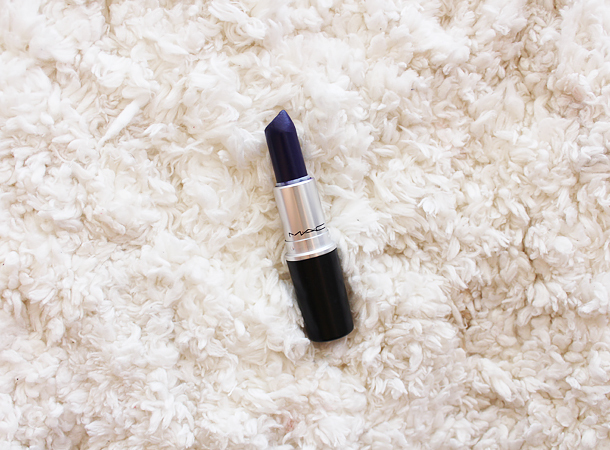 Did you pick up any of the MAC x Nasty Gal lipsticks? I love lipsticks that look almost black but just not quite…and that lipstick looks amazing on you! this color suits you so much, don't know if I could pull a color like this out. WOW! This is so striking, you rock it! YASSS. I love this color on you. It's so badass! This looks like such and interesting color, I have always wanted to try black lip but never really wanted to buy a full on black lipstick so this may be just right! Oops, sorry I forgot to say. It's labeled as matte. That's a pretty color & it looks great on you! It's sad that it was limited edition, but MAC is known for re-launching LE products. Oh I LOVE that on you! It looks super chic. This is such a beautiful lipstick and it really suits you! WOW i wish i had the guts to try on something like that. It looks amazing on you!!! I need this lipstick!! it's amazing!!! good only a minimal flow of warm water per minute regarding water heater replacement collaborating with a lengthy hose when it comes to entire nice.